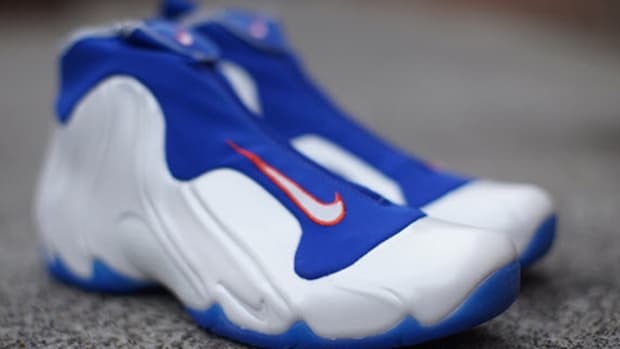 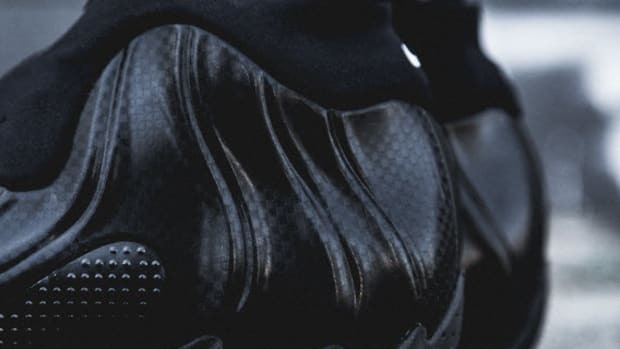 While everyone else is busy getting into the holiday season, which is filled with plenty of greens, golds, and reds, Nike is reworking their Air Flightposite, presenting it in a dramatically different colorway and without a key component of its usual look. 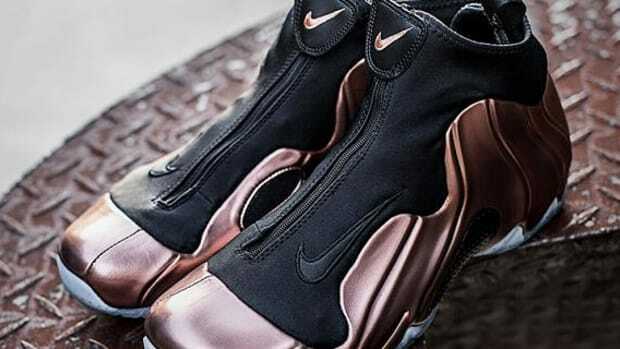 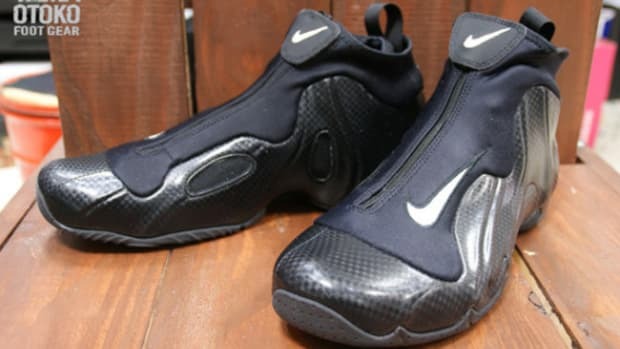 Based on the original design of the Flightposite 1, the Exposed reveals the same silhouette, but minus the zip-up shroud. 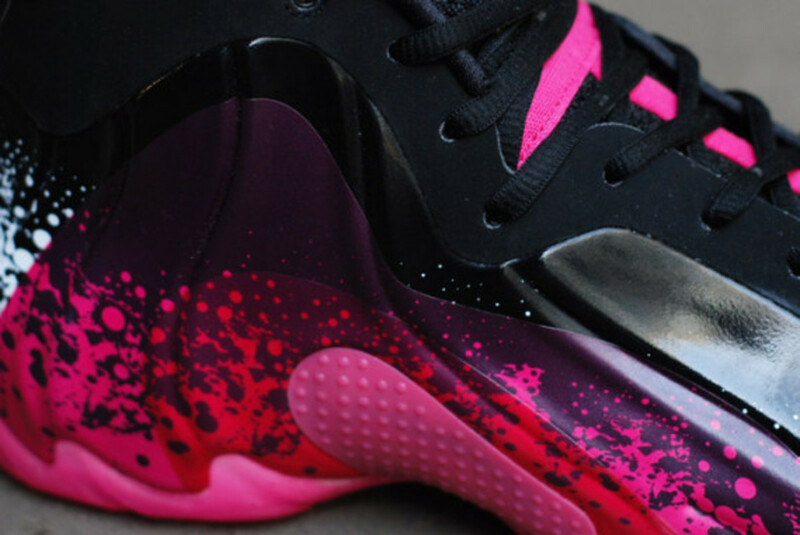 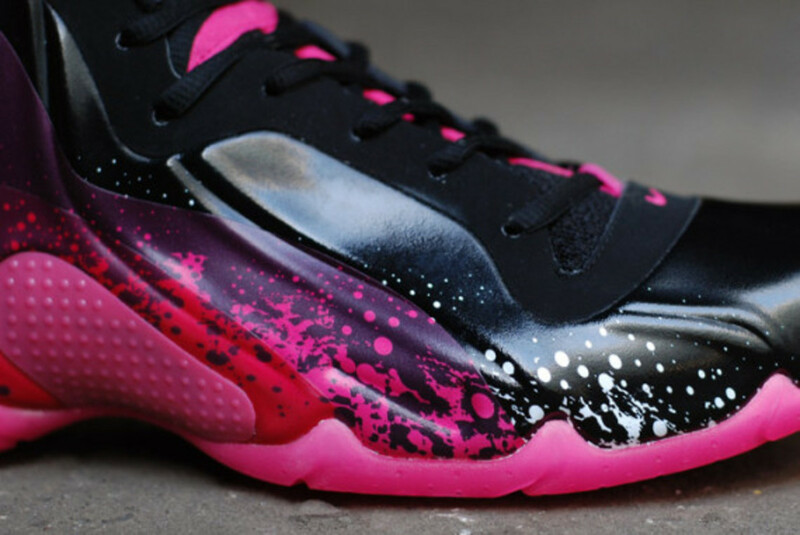 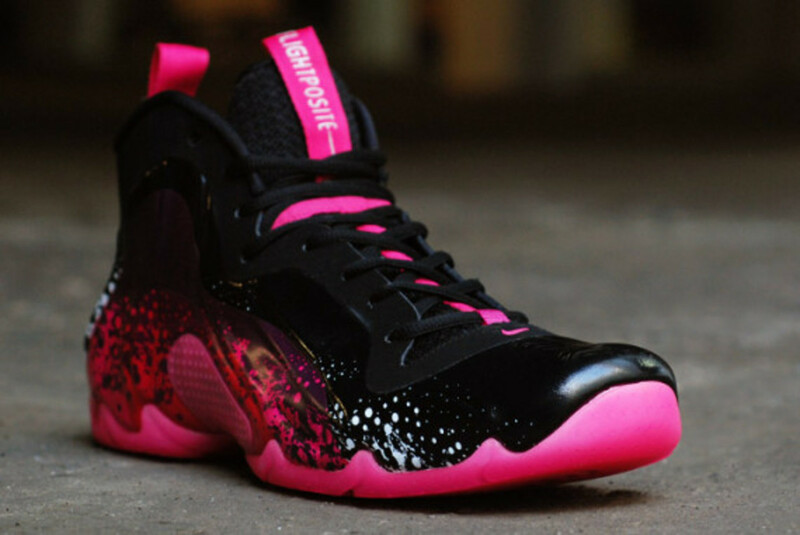 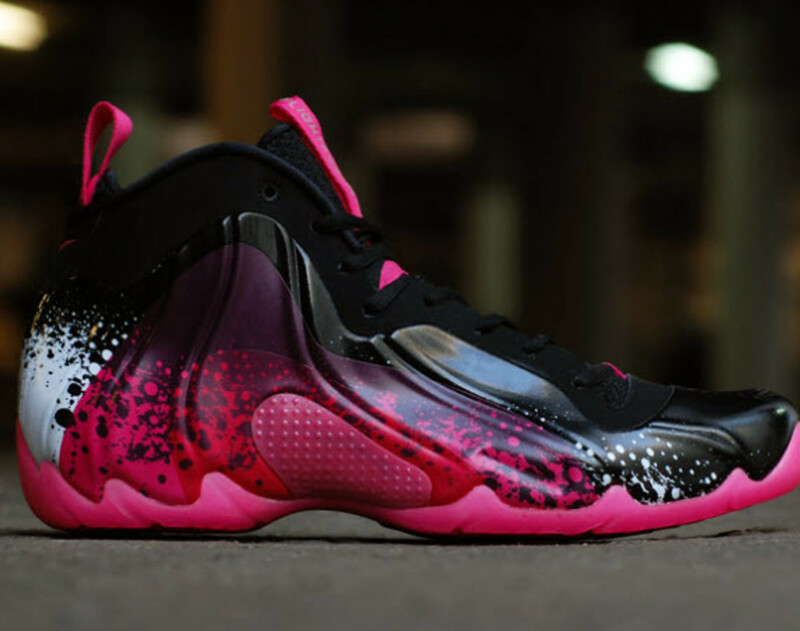 The design design allows the shoe to reveal a Black Posite upper accented with a touch of white and plenty of Vivid Pink splattered across, from toe to hell. 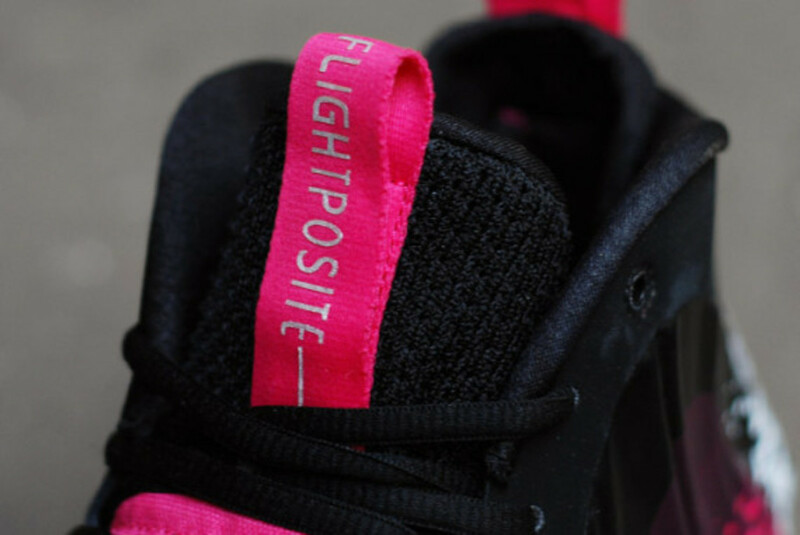 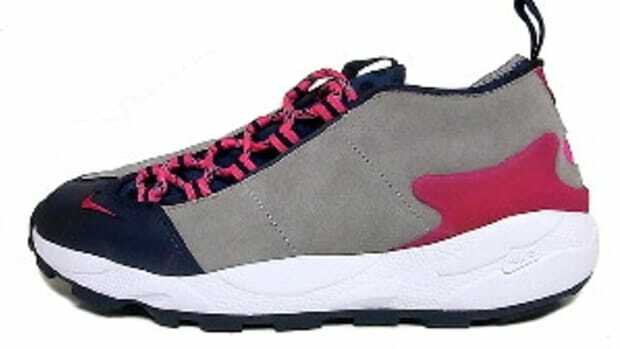 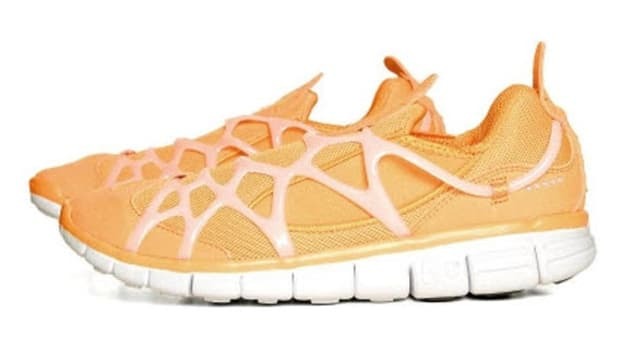 Vivid Pink also takes care of the tongue, heel tab, and the carbon fiber support plate on the arch while also spilling onto the gum rubber outsole. 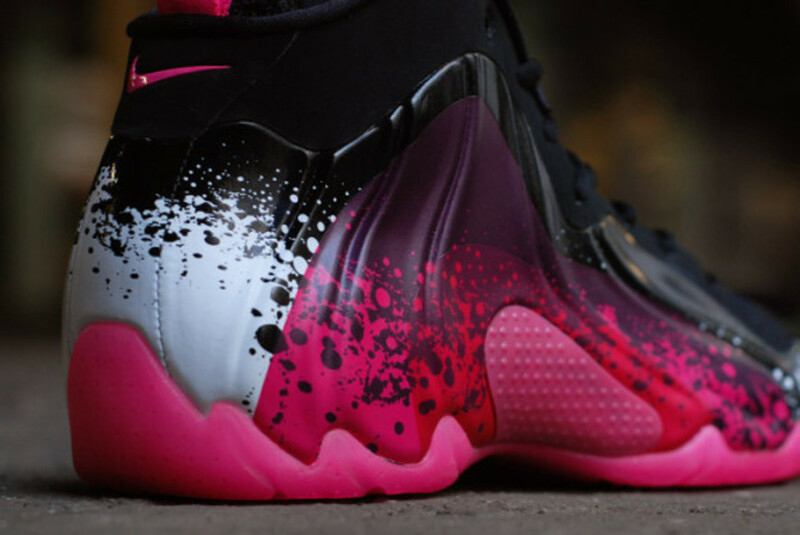 The Nike Air Flightposite Exposed in a Vivid Pink is scheduled to hit retailers, including Crooked Tongues, in January 2014, retailing for $210. 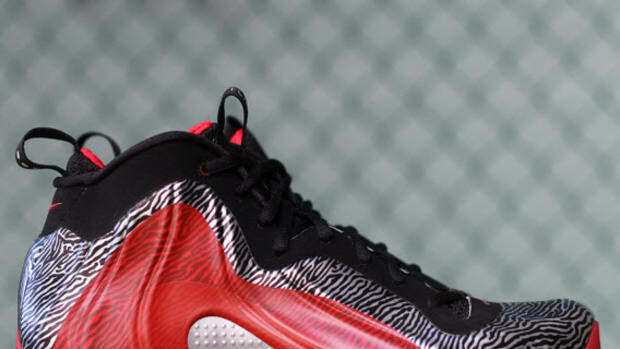 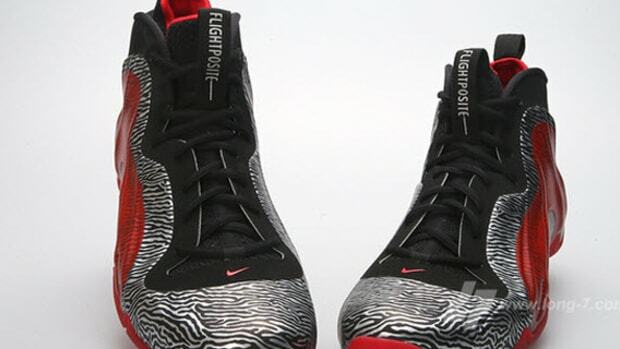 Nike Air Flightposite Exposed "Zebra"
Nike Flightposite Exposed - "Zebra"